Even though, we are quite familiar with MOOCs, you may check out The New York Times video below, which explains the ins and outs of this interesting educational concept. Coursera (7): This portal, which was started by two former Stanford University professors, might have the most promise for educators. Most courses are free to participate in. Check out the Teachers’ Professional Development (8) and Education (9) collections for the best teacher-specific courses. Udacity (11), another excellent source for expert-taught courses. 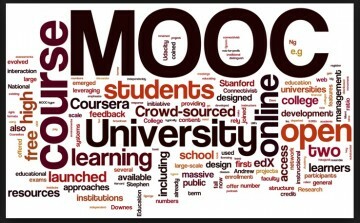 edX MOOCs (12): A joint project of Harvard and MIT, edX offers courses from a number of top universities, including UC Berkeley and University of Texas. In addition to education-specific courses (13), edX features tons of interesting math, science and IT courses as well, along with many other topics. Class Central (14): Launched in 2011, Class Central is a MOOC aggregator, and it’s the perfect search engine for finding the online course that’s right for you. Canvas Network (15) and NovoED (16) from Stanford University are also worth considering.